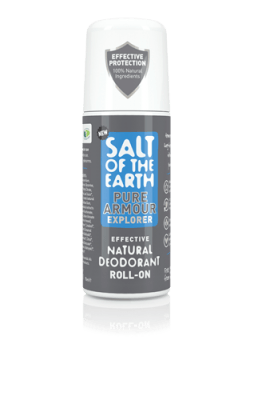 This natural deodorant is made purely from Potassium alum, a mineral salt known to be antibacterial and for natural odour protection. It works by leaving a thin layer of mineral salts on the skin. These natural minerals are odour inhibiting, giving you long lasting protection. No embarrassing white marks left on your clothes! Apply onto damp skin after washing at least once every 24 hours. Or, wet the stone and apply to clean dry skin. Dry the stone after use and it will last for months. 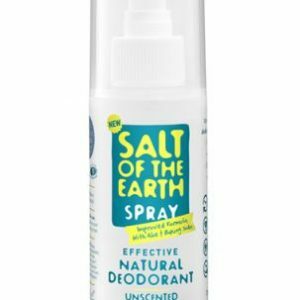 Salt of the Earth Rock Chick – A natural deodorant for kids A little bit of girl power confidence. A natural antibacterial crystal that fights underarm odours. Prepare to be amazed! This natural deodorant spray contains Potassium alum, an antibacterial mineral salt that has been used for centuries for natural odour protection. It works by leaving a thin layer of mineral salts on the skin. These natural minerals are odour inhibiting and provide long lasting protection. No embarrassing white marks left on your clothes!